Calling all gin lovers to an evening dedicated to GIN! 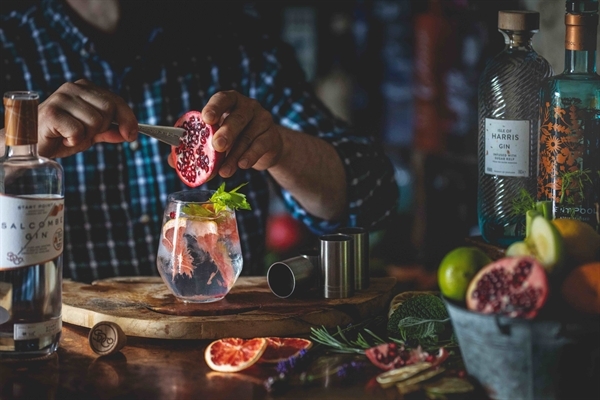 Learn about all things gin & taste a variety of craft gins paired with the perfect tonic. Our Gin Bar showcases over 150 gins & stocks 14 different tonics including Fever-Tree. T&Cs: Valid for any Gin Tasting Experience within 12 months from purchase date. Please note, bi-monthly events are held at Widbrook Grange & pre-booking is essential. Please check our events calendar on our website for the next scheduled event or call us on 01225 864750 to speak to a member of our team for more information. This Voucher is issued by Widbrook Grange and expires on above expiration date. This Voucher can only be used for making purchases of goods and/or services at Widbrook Grange Hotel, it cannot be redeemed for cash or applied as payment to any account unless required by applicable law. Widbrook Grange Hotel shall not be responsible for Vouchers that are lost or damaged. If you lose your Voucher, please contact Widbrook Grange Hotel. Answer: Please call us on 01225 86450 and we can process your voucher sale over the phone.